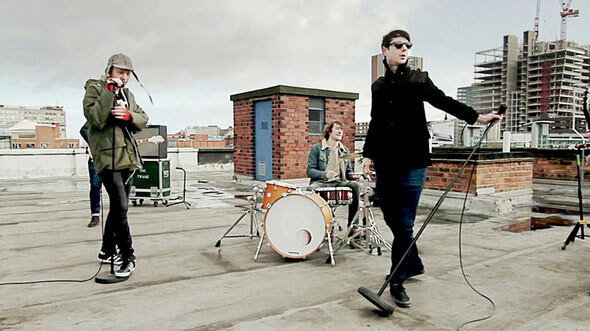 The Twang’s single, ‘We’re A Crowd, was penned during a writing session in Summer 2011 as the UK riots were kicking off ten minutes from the studio door. Although not directly written about the riots the intensity of the situation has definitely bled through into the song but the anger of the summer is refocused into what positives can be achieved when people stand up together. 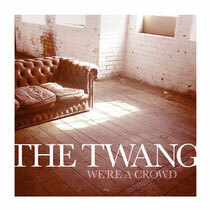 ‘We’re A Crowd’ is backed with two brand new Twang original B-sides, ‘Y.O.Y’ and ‘Heart To Heart’. ‘Y.O.Y’ may or may not be about a massive ding-dong between bassist Jon Watkin and guitarist Stu Hartland which ultimately saw Stu leave the band. Of course, it could also be about two friends having a drunken argument!